It’s a dark and rainy day in Portsmouth, New Hampshire. I don’t live here but I’m here for a small getaway. It’s raining quite a lot outside. Doesn’t bother me… I’m in a nice room with free wi-fi and everything I need to immerse myself in some music. I’ve got a lot on my plate that I need to take care of, and I need some anthemic rock music to give me the energy I need. Luckily, I know just the album! I’ve been listening to it a lot these past two weeks. I think it’s the perfect time to tell you all about it. 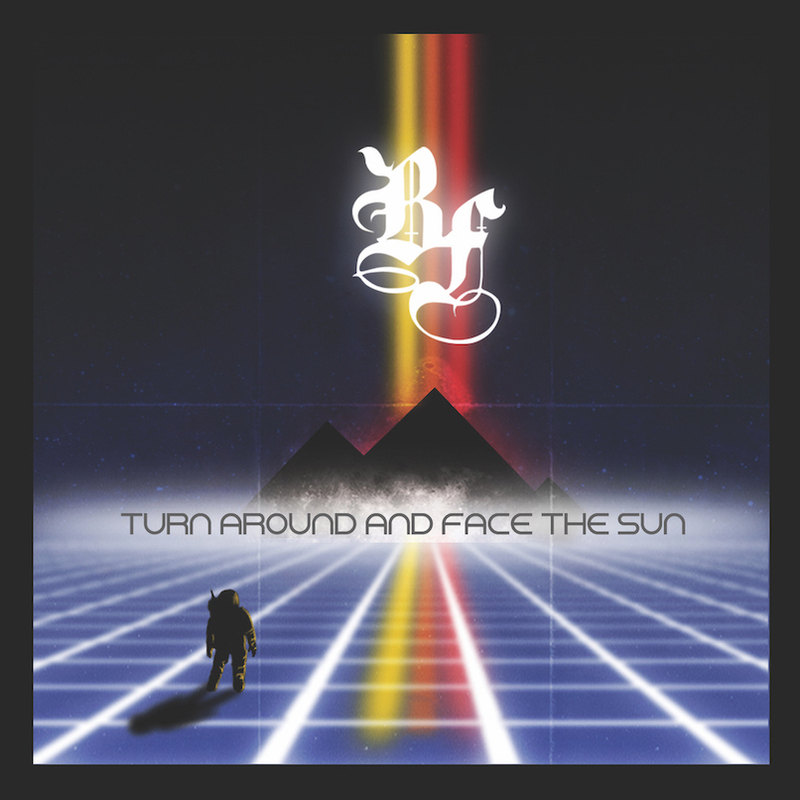 The album I’m talking about is Black Falcon’s Turn Around and Face the Sun (2018). 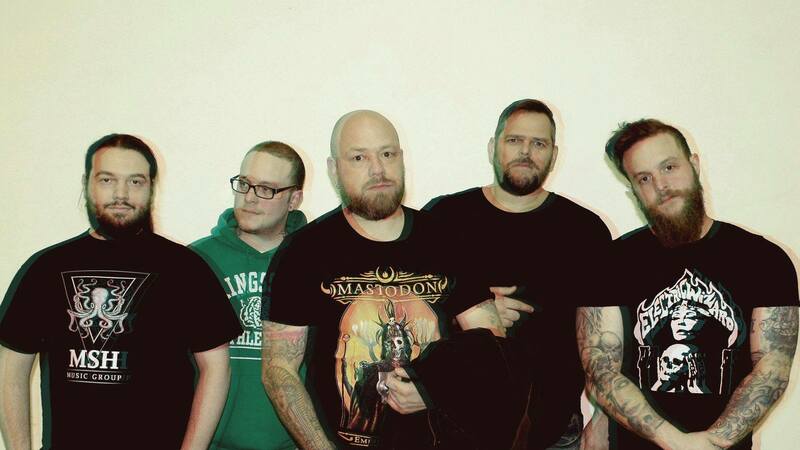 They hail from the UK and are currently comprised of David Ayres on vocals, Liam Hunter on bass, Jony Hunter and Richard Fisher on guitars, and Lee Durham on drums. Together, they released two EPs before their full-length debut which was out on October 26th via MSH Music Group. You can buy the album on the MSH website or on iTunes. You can also stream it on Apple Music or Spotify. My first thought when I listened to Turn Around and Face the Sun for the first time was how high the energy was in each song. It wasn’t surprising when I later found out the band themselves describe their debut as “anthemic, high-energy”. I’d certainly agree with that. In some aspects, it reminded me of Black Star Riders. I sense a similar vibe. I don’t like to play the genre guessing game, but sometimes I engage in it to give readers a better idea. I think this album has elements of a few different areas of rock. Occasionally, it gets heavier but I’d describe the overall sound as rock. You definitely hear some classic influences in the vein of early Black Sabbath. But then you also hear songs reminiscent of alternative rock. If you are into rock songs with big choruses and hooky guitarwork, I think you’d dig this album too. Because of the high energy in all the songs, the image I had in my head was Black Falcon performing these songs live. It was as if the songs were written with live performances in mind. The recording, while polished to some degree, was still left somewhat untouched to give a stage performance vibe. It turns out I wasn’t wrong. Bass player Liam Hunter confirmed that “every song on the album was written to be performed live”. He also added that’s exactly why they “kept the sound organic, as this is easier to replicate live, without it being over-produced”. I overall liked the organic feel of the album. Not only will it enable them to replicate these songs live easier, it also lends it that classic rock vibe. At times, I did wish the production could have been a tad bit more polished, only because certain songs would have packed a bigger punch with a more modern guitar and drum production. I’ve always liked albums that can find an equilibrium between modern production and organic vibe. But in any case, the band’s vision is clear from the beginning. They want to make their mark on the stage and their debut is a step towards that. Of course, I should also add here that if you don’t want to over-produce, the importance of a good lead singer becomes even more important. I’m always surprised to find out how much vocals are processed these days… One thing I appreciated with Black Falcon is the singing. The vocals are clean, fit the music well, and the singer’s voice is versatile enough to handle different genres explored here. And before I move on to some song highlights, I must add here I was super impressed with the bass and drums. Normally, I notice the guitars more than anything because I’m a guitar player myself; that’s where my mind goes. But the rhythm section was so solid you had to take notice. I thought the drums didn’t just keep a tight rhythm, but the clever fills kept you engaged without overpowering any other instrument. On top of that, the bass tones were nicely planned as well. I’m just learning about mixing to make my home recording a bit better. So, lately I’ve been obsessed with analyzing how bands mix their albums. It’s not easy to get everything right and have the guitars and bass not take space from each other. I thought these guys did a great job with that. The bass playing itself is solid; but it’s also nice that it comes across clearly due to the right mix. Wipe Out Gods is a great way to start the album. There’s a bit of a southern rock vibe that I enjoyed. Because of the organic feel they wanted to achieve, the two guitar players didn’t necessarily go for the exact same tone, so you can hear the slight differences in playing even if it’s the same riff, making the sound even bigger. The song flows smoothly. Verse into bridge into chorus, the connections are arranged smartly. I think this one would be a blast live! The next song, One False Move, has a nice fast-paced intro. I liked the clean singing and the basswork a lot. 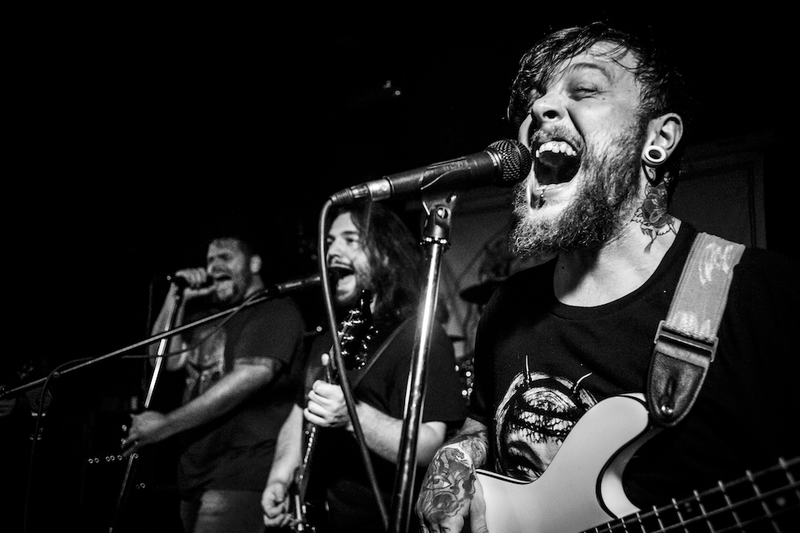 But as much as the songs are energetic, the band also doesn’t shy away from tackling heavier topics. This song, for example, deals with a person confronting thoughts of suicide. David Ayres says he has had to “deal with the aftermath of suicide” and he “wanted to express the feeling that there are other ways to move forward.” In an age where talking about depression and suicide are unfortunately still considered taboo, it’s important for artists to tackle this topic and emphasize the fact there is no shame in seeking help. We all need it and, as David puts it, there are other ways to move forward. Right after, we get into Enough which shows yet another aspect of the band’s music. The instruments allow the vocals to breathe a bit more and the chorus, in particular, is a good way for you to hear what the vocalist is capable of singing. “I had enough… I’m just tired of getting of nowhere” sings Ayres, and if my ears are not deceiving me, I hear a higher-pitched singing in the background during that part that adds a lot of color. I don’t know if Ayres sang that part too; but if he did, that is some impressive range! Listen, and you’ll know what I mean! I also like that later in the song towards the 4:00 mark, the song’s breakdown reminded me of Bush-era Anthrax. Muted, distorted guitar chords along with powerful vocals that sing about someone’s frustration! I think Bush himself would have loved to sing on this one! The 4th song, Release the Hounds was my favorite after multiple listens of the album. It has a kickass drum and bass intro (you gotta love those!) and then the fast-paced nature of the song kicks in with a groovy guitar riff dominating. The guitar players use different tones, like I said before, so it makes the sound HUGE on your speakers. It’s also a little heavier than other tracks so I dug that too. There’s some solid lead playing in this song exemplified by a wah infused solo; but it’s the drummer that steals the show. The playing is really good. I think this one would go great live! I think every song has its strong moments. Overall, the songs are fairly streamlined, with the exception of a couple, so it does a good job of keeping you engaged without too much repetition. Two Face has a groovy riff to start us off and it keeps a cool rock vibe throughout. It gets heavier and groovier around the 2:50 mark! The Wolf You Feed, besides having a nifty title, is another high-energy rocker. The guitar sound breaks up sometimes. I’m no mastering expert, but it could be due to what is commonly referred to as “loudness wars”. I listened to the song both on Beyerdynamic DT 770 headphones and Yamaha H8 monitors and ended up with the same thought. It’s otherwise a cool track with some melodic solos nicely implemented. The Legend (I Appear) talks about how our behavior is sometimes manipulated by others based on “what we are taught, to the stages we go through in life”. Musically, the song is more in the vein of alternative rock but around the 3:10 mark it kicks into higher gear. Poignant lyrics with great melodic music! Great to be You features a great riff around the 2:30 mark that is reminiscent of early Black Sabbath. I loved that section! Generally, this band does breakdowns really well. Perhaps they should consider exploring these breakdowns, including solo sections, further to allow some of those additional riffs more room to breathe. And in the end, Walls Come Down, ends the album in the same high gear rock atmosphere we’d have become used to at this point in the album. The drumming, once again, is just solid and I thought the guitar solos sounded good too. I kept thinking Black Falcon could certainly pull off even heavier music! I’m overall impressed with Black Falcon. It’s refreshing to hear a band embrace clean vocals and explore vocal melodies in choruses rather than just screaming. 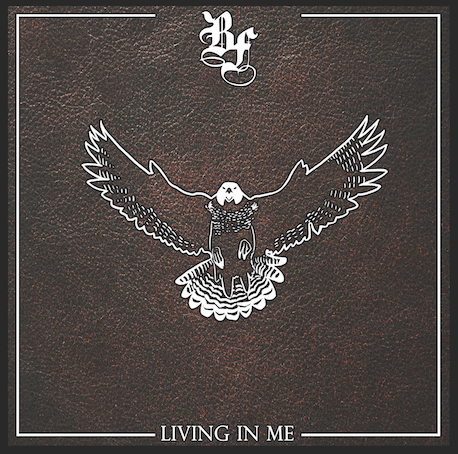 Don’t get me wrong, I like screams here and there; but I missed hearing these kinds of melodic vocals! The musicians all know what they’re doing and the delicate balance of groove and melody was handled well. I like that they made a conscious effort to not over-produce so their live shows would feel more authentic. I respect that. I think they’ve got a bright future ahead! If you live in the UK, you can check out their website for tour dates. Turn Around and Face the Sun is available on music streaming services and you can also buy on iTunes.